I made it another Christmas and another birthday...65 on the 16th! I guess God still wants me to be around. Thanks to all that gave my gear good homes over the last few years I hope you're still having fun with it. I miss shooting my M37's but all good things have to come to an end. I know It's a little early, but if I don't do it now while I'm thinking of it, I'll forget. Special thanks and wishes to Aaron in Mohnton Pa. I hope everyone has a wonderful Christmas and I pray this country will survive the unrelenting antics and dirty tricks the deep state is pereptrating on this sittting president and the country. R.L. I was injured while serving overseas after being caught in the Post 9/11 rush. I'm living everyday with residual physical issues and can relate to you and all those who wake up n the morning (as one side of your mind says M@#$%er F)(*&er and the other realizes that there are a lot more people who have it worse. I have small goal is to purchase an M16 and then a Norrell Trigger Group. It might take me a while, as I'm still paying alimony to the Ex who bailed on be while I was hurt, but life is a lot better today. I also want to thank all the members her who continually share their experience of NFA items and C&R items. I've been a long time lurker and have learned a lot. Merry Christmas to all of our Brothers and Sisters here on the Boards. And a Special THANKS to David, Andy and Buddy for keeping Sturm going and a safe place to conduct business. 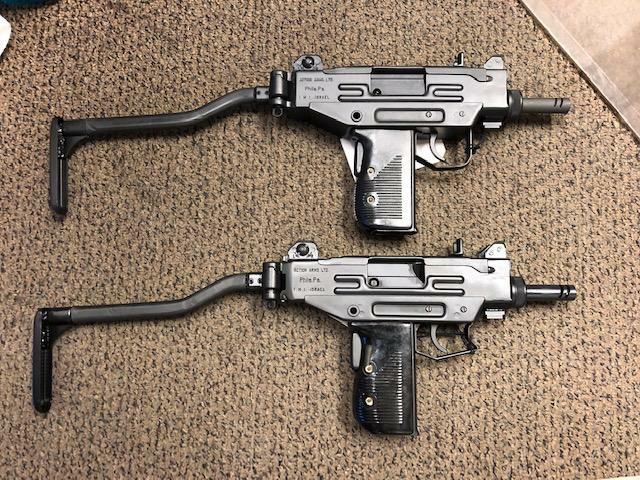 I got a Couple Micro UZI M.G's for X-Mas, Santa was good to me, GYSOT!!!!! !